A positive safety culture brings measurable benefits to organisations, including a more engaged workforce and reduced accident rates. Jennifer Webster outlines the framework for an effective assessment of safety culture by testing the climate in organisations. Developing a safety culture that supports good health and safety in an organisation is vital to ensure adequate control over risks. A positive safety culture contributes to positive safety outcomes, directly impacting on accident rates as well as reputation and competitive edge. But how do organisations go about improving their safety culture to obtain these measurable benefits? In the UK, 28.2 million days were lost due to work-related ill health or injury, and injuries and new cases of ill health resulting from current working conditions cost society an estimated £14.2bn. Globally, every year, 160 million people suffer from work-related diseases and there are an estimated 270 million fatal and non-fatal work-related accidents, resulting in 4 per cent of the world’s GDP lost. But the drivers for organisations to improve their safety culture are not solely to do with cost. The Health and Safety Laboratory (HSL) reports that for the majority of organisations the recurring reason is that they care about their workforce and reputation as a healthy and safe place to work. There are five really essential steps in any safety culture improvement programme: foundation, analyse, focus, act and evaluate. It’s essential for any sustainable safety culture improvement programme to have a firm foundation, and this starts with thorough forward-thinking preparation. Whatever an organisation’s reasons for improving its safety culture, it will need to begin by understanding the current state of its safety culture as this will highlight areas for improvement and feed into the organisation’s action plan. Organisations use a variety of methods to obtain this understanding. One such method currently in use by over 350 organisations worldwide is HSL’s Safety Climate Tool (SCT), an online survey to measure workers’, supervisors’ and managers’ perceptions across eight key factors. Setting up a steering group. Developing a project plan and investing adequate resources to carry out the five steps and implement improvements. Developing a communications/employee engagement strategy. When working with organisations, HSL advises that they invest in planning and laying down firm foundations to run a safety culture assessment; this helps to engage with the workforce and achieve a high response rate. Approaches to planning, running assessments and acting on the results vary from straightforward checklists to more sophisticated project management tools that identify what needs to be done and when. But what they all have in common is that the plans are SMART; specific, measurable, accurate, realistic and time bound. Others incorporate plan, do, check, act into their thinking and this works really well for organisations just starting their improvement journey, as it helps them think about: who they need to involve; what resources they will need; how they will communicate what they are doing; and what they will do with the outputs. It helps to have established a clear and compelling vision for what an organisation thinks a good safety culture should look like. This makes it easier to explain the rationale to senior managers to get their support and commitment, and it helps to communicate consistent messages to employees about why the organisation wants them to provide their opinions and what it will do with the information when it is received. It is not always easy to get senior management commitment. But time and again, HSL’s work has shown that when an organisation’s assessment and subsequent interventions have the full support of senior management, they are more successful. A simple statement of support from a CEO can have a powerful effect. Senior management commitment was a critical success factor in ensuring that the London 2012 Olympic Games were the safest on record. Senior managers listened, supported and provided the resources to build a strong health and safety culture. They communicated what they did with the results and encouraged worker engagement at all levels. As a result, when HSL carried out research on safety leadership at the Olympic Park during its decommissioning, their leaders and workforce consistently demonstrated that everyone was ‘walking the talk’ and health and safety was seen as everyone’s responsibility. Some of the workers we talked to with many years’ experience in the construction industry found they were adopting safer working practices which they then took to other sites. Challenging unsafe behaviours when they saw them became just part of the way they did things. Safety culture assessments have been run by some organisations without this level of commitment at the outset and they have been able to implement some localised interventions. But when the person driving the assessment or survey through, typically the health and safety manager, leaves, the initiative tends to lose its momentum. Therefore, it’s important that organisations don’t do everything on their own, no matter how tempting it is. Far better to set up a small steering group to help with the planning and delegate tasks, or do what some organisations have done and use external consultants to act as a proxy team. Several sources of data, information and knowledge can be used to measure the current culture in an organisation. Running a tool like the HSL SCT is an easy, evidence-based way to gather employee opinions on the safety culture, providing an organisation with valuable data as well as increasing employee engagement. By analysing the results of the assessment, organisations will start to understand their strengths and target areas for improvement, and obtain data against which they can measure the future success of improvements. Are more likely to help ensure the success of any agreed actions if they have taken an active part in developing and agreeing solutions. At this stage, an organisation can now make evidence-based decisions which will form the basis of targeted action plans that focus resources on those areas that genuinely need attention, and those that will have most impact on improving safety performance. Action planning also helps to identify the interventions that can be accomplished with the least amount of effort. Creating a positive safety culture is not something that can be achieved overnight. However, organisations that can demonstrate early on that they have acted on at least some of the results appear to have a more engaged workforce and can help maintain the commitment of their senior management and the workforce over the longer term. To ensure that the interventions are having maximum impact on improving safety performance, it is essential to evaluate the interventions and adjust them if necessary. How the process of change has been managed should also be evaluated to enhance the long-term culture change project plan. It takes time to create a good health and safety culture. This framework is designed to help organisations carry out an effective assessment of their safety culture and to start the improvement process. Using external support can help organisations keep the momentum going, input targeted expertise and provide an objective viewpoint. By working with many organisations, HSL has built up benchmarking data from over 98,000 responses and the figure is growing. It is very important for HSL that everything we do is evidencebased so we are also in the process of building up a series of case studies based on the experiences from organisations in our network, allowing us to pass on practical help and advice from the lessons they have learned to others. Mentor Training have launched the first-ever IOSH accredited safety management course tailored to the needs of those responsible for overseeing forklift operations. ‘IOSH Managing Safely: Forklift Operations’ recognises the important role in safety played by managers and supervisors. The four-day course was developed in close partnership with IOSH and is exclusive to Mentor. According to HSE figures, the number of directors prosecuted under section 37 of the Health and Safety at Work etc. Act in the five years leading up to 2010/11 has risen by 330 per cent, while during the same time period, successful convictions have increased from 50 per cent of cases to 81 per cent. The new nine-module course builds on the highly regarded IOSH Managing Safely course, which provides delegates from any industry with a practical understanding of what must be done to ensure safety in their teams’ work, with added reference throughout to lift trucks and the environments in which they operate, as well as a full additional module specific to the challenges faced in materials handling. The IOSH-approved course is delivered on site by highly skilled instructors qualified to NEBOSH (National Examination Board in Occupational Safety and Health) standards and with vast specialist experience in working with forklift trucks. The course meets the legal requirements set out in HSE guidance document L117 (Rider-operated lift trucks. Operator training and safe use. Approved Code of Practice and Guidance), the latest edition of which placed added emphasis on the importance of supervision. For further information visit www.mentortraining.co.uk. With 99% of work-related deaths attributable to disease rather than accidents, employers should identify and control health hazards at early stages. Occupational hygiene is the scientific discipline which is all about protecting the health of people at work, no matter what sort of work they do. It involves the identification of hazards and most importantly, their control, to minimise the risks to worker health, as a result of exposures. To achieve this, occupational hygiene often employs science and engineering principles. Occupational hygienists can be found in a wide variety of workplaces and this is as a result of the extensive range of health risks which can arise at work. These risks, if not controlled, can result in serious illness and even death. The risks which occupational hygienists are interested in often involve chemical hazards (such as toxic substances, dust and fibres, fumes and mists), physical hazards (like noise and vibration, radiation, lasers, or thermal stress) or biological hazards, for example, bacteria like legionella or viruses such as hepatitis or ebola. Risks may also be related to ergonomic considerations such as manual handling or psychosocial factors such as stress. Good occupational hygiene has revolutionised worker health in certain areas. For example, it is possible today to be a healthy miner and also understand the risks of working with or near asbestos. Similarly, occupational hygienists know how silicosis among pottery workers can be prevented. However, large numbers of people are still employed in high-risk sectors. Construction workers continue to be exposed to harmful dusts such as respirable crystalline silica. Workers in bakeries continue to suffer from asthma as a result of exposure to flour dust and in retail, workers are still at risk from musculoskeletal problems. The need for occupational hygiene is as great today as it ever has been since the types of hazards are constantly changing. The latest figures show that 13,000 people a year die from work-related ill health. That means the 133 workers killed at work during 2013/14 as a result of accidents in the workplace represent only 1% of the total deaths caused by work. In other words, 99% of occupational mortality is attributable to disease. This isn’t just a problem of past exposures. The number of new cases of self-reported work-related ill health had been falling in recent years, but has now increased to 535,000 per year and there are 2 million people suffering from an illness they believed was caused or made worse by their current or past work. Cancer is a particular challenge in the field of worker health. It is estimated that one in 20 cases of cancer are attributed to work-related causes. There are 8,000 deaths and 13,500 new cases of occupational cancer per year. Worse still, it is estimated that, in the absence of action, annual deaths from preventable occupational cancers in 2060 will have risen by 5,000 more than the current level of 8,000. The good news is that occupational hygiene solutions are hugely cost effective. 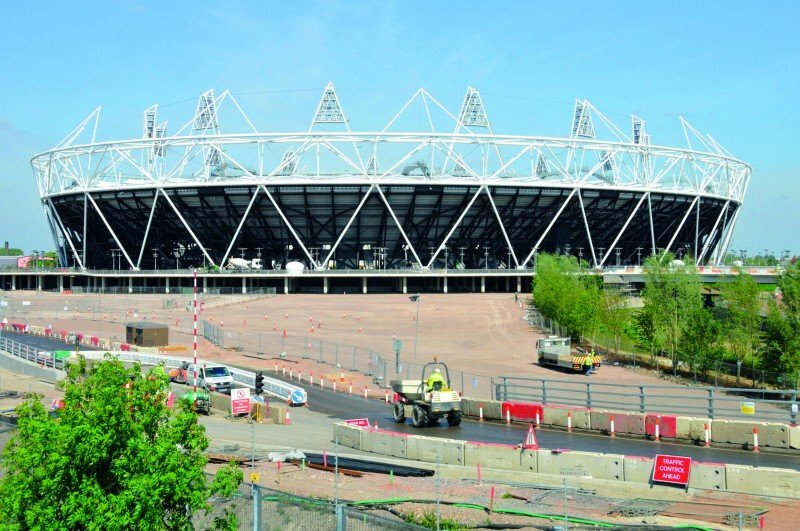 Cost-benefit analysis demonstrated the advantages of employing occupational hygiene experts at the 2012 Olympic Park and village project far outweighed the cost. The net benefits were estimated to be around £7m. It has been said that occupational health has two primary facets – prevention and cure. Occupational hygiene is firmly within the preventative side of the discipline, with protection of worker health by means of controlling exposure to risks as its primary focus. On the curative side, we find occupational doctors and nurses practising occupational medicine, carrying out medical checks and helping workers who are ill. On the same side, we find HR personnel, with the involvement of medical specialists, helping people return to work after sickness absence. Increasingly, we also see the wellbeing of workers being considered by HR, with exercise, diet and nutrition programmes. When people hear the term occupational hygiene, they sometimes mistakenly think the profession is about keeping workplaces hygienic and clean. In fact, it is about the identification and control of hazards to minimise the risks to worker health. That is something all workplaces should aim for. A new health and safety award, which will be judged by a panel of agricultural engineering specialists, has been launched at LAMMA 2015. The Institution of Agricultural Engineers (IAgrE) in partnership with SSAB, the Nordic and US-based steel company and Farmers Guardian announces the launch of a new and significant health and safety award. The prize will comprise of a statuette, £300 and an invitation to visit SSAB in Sweden. The prize will be awarded for an innovation, product or practice which supports best practice in promoting safety and can demonstrate the clear benefits. This could relate for example to new design features, lighter products, simplified production, longer life time, improved performance or beneficial environmental effects. The prize will also cover methods and tools. Johan Mattsson, SSAB Key Segment Specialist, Agriculture said, “The farm is one of the most dangerous workplaces of modern society. Fortunately, Advanced High Strength Steel has enormous potential to really make a difference for environment, animals and people living and working on farms. SSAB manufacture AHSS – Advanced High Strength Steel, which increases productivity and reduces fuel consumption. “The automotive sector has been transformed in the last 20 to 30 years and everyone today takes for granted that cars are safe and fuel efficient. It’s now time to look at the agricultural sector and using steel to develop farm machinery, produce machines more cost effectively with higher safety levels and reduced fuel consumption using new lighter and stronger materials,” added Johan. A mobile crane collapsed onto a building on Sunday morning, shattering windows and waking residents in the surrounding area. The crane, which belonged to Suwadi and Shams Contracting company, fell shortly before 9am near the junction of Sheikh Zayed and Hamdan streets, the same location where a mobile crane collapsed over a street in 2011. Mohammed Salem, head of the communications department of Suwadi and Shams Contracting said although his company was still awaiting the outcome of the Abu Dhabi Police investigation, the accident was something that could happen to any company and was not completely out of the norm. “We were sleeping and suddenly there was a big sound and the whole building shook,” said Nilima, who felt the effect from her apartment on the third floor of the affected building. “The kids started crying and I was so scared. We have been gathered together since but I feel so lucky,” said the Indian who has lived in the building for over a year with her husband and two children aged two and five. As well as damaging the adjacent building, the crane also crushed an office trailer on the nearby building site and fell onto a pedestrian path between the site and the building it collapsed into. “It was unbelievable no pedestrians were hurt,” said Koshori Sheddy, a restaurant employee who was working in a storage facility on the ground floor of the same building. “A lot of people use this pathway and on Friday we have a lot of traffic coming through it,” said Mr Sheddy who has worked near the site for six months. Labourers, who have been working on the site for two weeks, said no workers were injured and that the engineers were fortunate they arrived to work late and were not in the office trailers. The effect of the crane’s fall was so loud it was heard in a building across the street. Precilla Goosen said she had grown accustomed to the sounds of construction but heard something markedly different on Sunday morning. “I knew instantly something had happened when I heard the noise,” said the South African freelance photographer. When she rushed to the balcony of the her 12th floor apartment facing the construction site Ms Goosen could see the crane had toppled. “It seemed like the crane was top heavy and facing the wrong way,” said Ms Goosen who has worked as head of safety and security for a hotel group in South Africa in the past. “Occupational safety is very important, especially when working in such a cramped site such as this one,” she said. Abu Dhabi Municipality investigations showed safety violations, including defective equipment and inadequate supervision, were to blame for the 2011 crane collapse in same area. Although all construction or demolition site accidents must be reported to Abu Dhabi Municipality’s health, safety and environment department, the department’s head, Abdulaziz Zurub, said they had not yet received notification of Sunday’s incident by 5pm. “Although these accidents rarely happen sometimes the negligence and inexperience of mobile crane operators can lead to an unbalanced crane,” he said. Safeguards against crane accidents have been implemented since the 2011 incident which include regulations on lifting equipment inspections conducted by third parties, municipal regulations requiring all equipment operators receive some qualification training, and daily inspections of building sites by municipal workers. “We are constantly monitoring building sites as well as reviewing the third parties inspecting them. We now have a total of 33 companies after removing 6 from the list which did not meet our standards,” said Mr Zurub.